Go to original pattern for design DROPS 66-9. DROPS Pullover in Puddel and Silke-Tweed. 150-150-150 g. col. no. 03, burgundy. 100-100-100 g. col. no. 23, red. 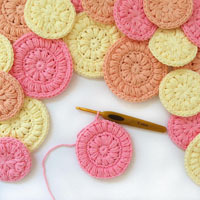 DROPS 5 mm circular needles and 4 mm double-pointed needles, or sizes needed to obtain correct gauge. 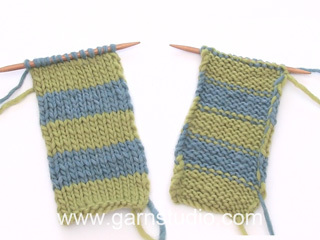 Gauge: 16 sts x 24 rows on larger needles in Pattern = 10 x 10 cm. * 1 row burgundy Silke-Tweed, 1 row red Silke-Tweed, 1 row burgundy Silke-Tweed and 1 row Puddel *, repeat from * - *. 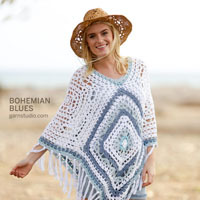 Knitting tip: To reduce the number of ends to be tucked in, use circular needles and carry the yarns up the side instead of cutting them each row. Begin each row at whichever side the required yarn is on. Front: Cast on 72-78-84 sts on larger needles with burgundy Silke-Tweed. Knit 4 rows garter st. Read the knitting tip! Continue in Pattern - see instructions above - to finished dimensions. When the piece measures 8-8-8- cm inc 1 st at each side 4-4-4 times every 7-7-7 cm = 80-86-92 sts. When the piece measures 33-34-36 cm bind off for armhole at each side every other row: 3 sts 1-1-1 time, 2 sts 1-2-3 times and 1 st 5-5-5 times = 60-62-64 sts. 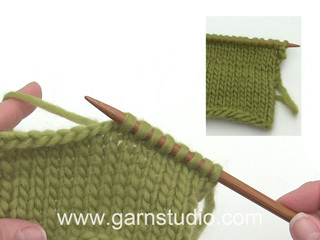 When the piece measures 48-50-52 cm bind off the center 14-16-18 sts for the neck. Bind off at each neck edge every other row: 2 sts 2-2-2 times and 1 st 3-3-3 times = 16-16-16 sts remain on each shoulder. Bind off all sts when the piece measures 54-56-58 cm. Back: Cast on and knit the same as the front. 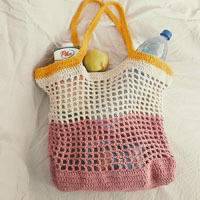 Shape armholes as on front, knit until the piece measures 52-54-56 cm. Now bind off the center 24-26-28 sts for the neck. Bind off 2 sts at each neck edge on the next row = 16-16-16 sts remain on each shoulder. Bind off all sts when the piece measures 54-56-58 cm. 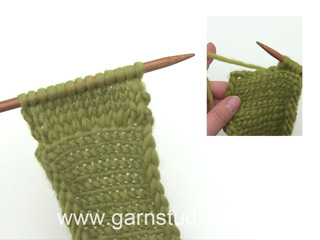 Sleeve: Cast on 50-50-50 sts on larger needles with burgundy Silke-Tweed. 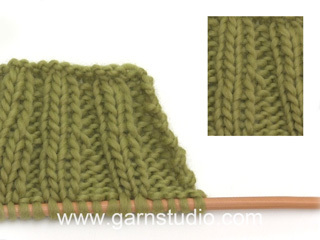 knit 4 rows garter st, continue with pattern to finished dimensions. When the piece measures 15-15-15 cm inc 1 st at each side 6-8-8 times every 6-4-4 cm = 62-66-66 sts. When the piece measures 49-48-48 cm bind off for sleeve cap at each side every other row: 3 sts 1-1-1 time, 2 sts 2-2-2 times, 1 st 6-7-8 times, 2 sts 2-2-2 times and 3 sts 1-1-1 time. Bind off remaining sts, the piece measures approx. 59-59-60 cm. Assembly: Sew shoulder seams. Pick up approx. 90 - 100 sts around the neck on smaller double-pointed needles with burgundy Silke-Tweed. knit 4 rows garter st, bind off loosely. 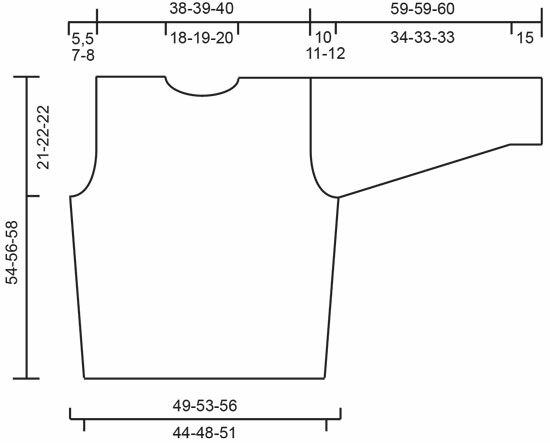 Sew in sleeves, sew sleeve and side seams in one using edge sts as a seam allowance.